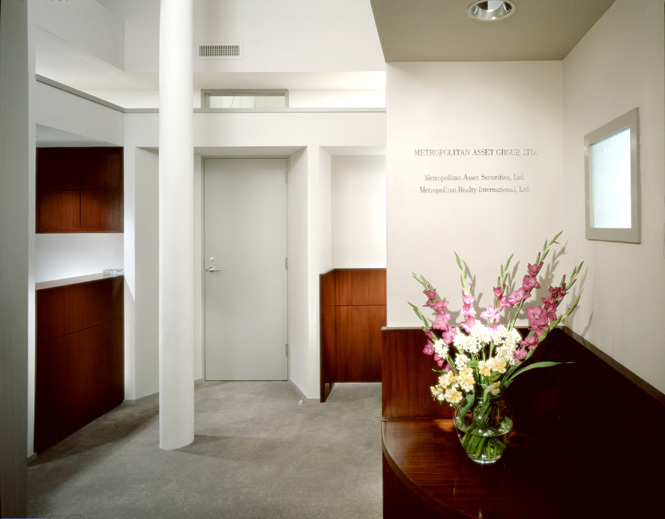 The offices of Metropolitan Asset group are located on the top skylit floor of owner-renovated loft building in the historic landmark district of Soho. 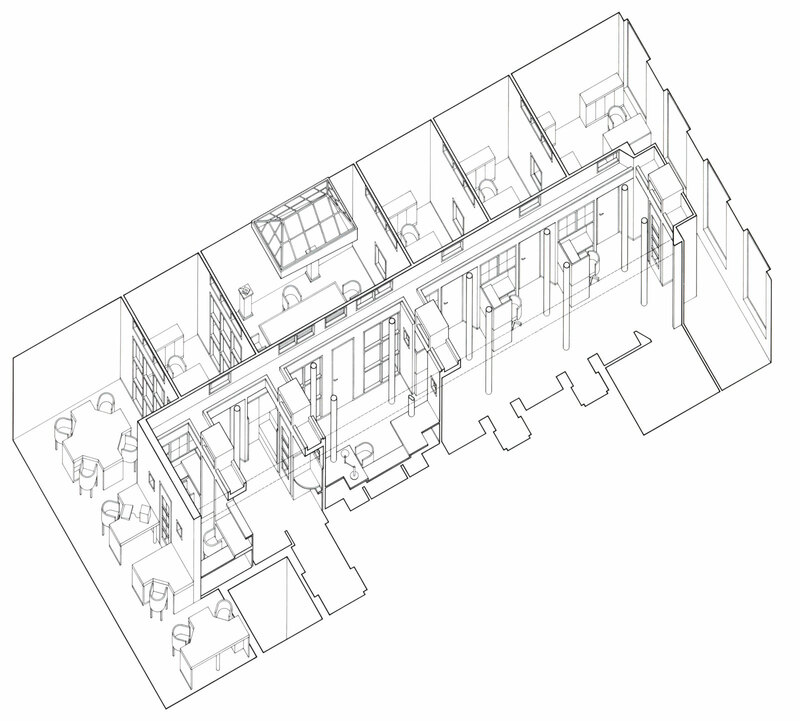 The space is laterally organized into three functional zones: vertical circulation and service, horizontal circulation and workstations, and private offices. 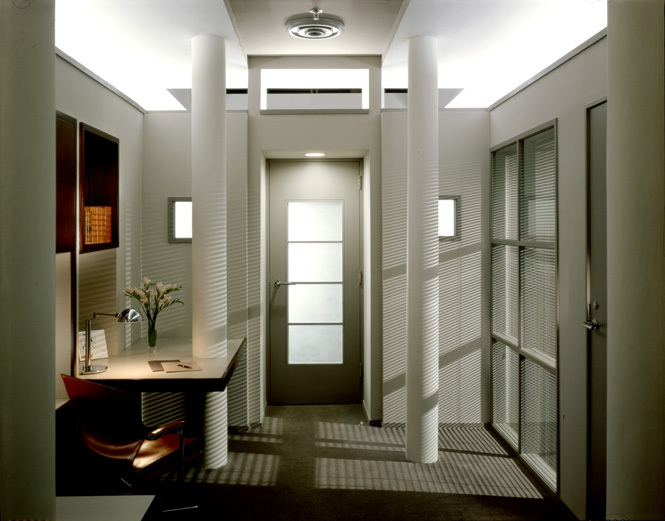 The center zone of horizontal circulation and workstations becomes a room-within-a-room defined by thick walls of built-in cabinetry, lights, doors, and windows. To further emphasize the room’s spatial autonomy, another set of columns was introduced opposite the existing center row of columns. The existing column bays organize the zones in the longitudinal direction. The offices are located by the column spacing, and the center room responds to the office organization with three areas of office related use: reception, president’s assistant and secretaries.